Results: 1 to 10 of a total of 112 results. Does ragnortheseer belong in this group? 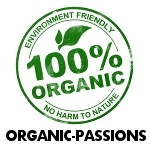 Organic is best Looking for people who share my views on organic eating. Does decelle belong in this group? I love nature. I think the way we try to manipulate nature is wrong. I feel this is a fundamental problem with who we are spiritually. I'm looking for someone who also has a love for nature and has a passion to understand the deeper things in themselves and the universe. Does radiatelove belong in this group? Does ranko66 belong in this group? Open-minded Alien Enthusiast seeks Soul-mate Empathetic, compassionate, and a true INFJ. Does amaunet belong in this group?